…provided you live in America. Log in and check it out! I’m second from the right, as if you couldn’t tell from the fact that I’m ABSOLUTELY INDISTINGUISHABLE FROM MY MII. It will be up until a week from today, so soak it in while you can. You can read more about it here for now, and I’ll update later on with some commentary on what I picked, why, and maybe some additional recommendations as well. 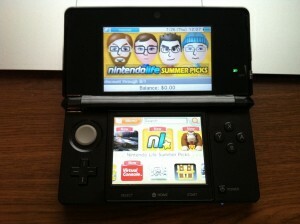 …I’m in the ****ing Nintendo eShop! Just a few me-related things that went up while I was away in Wes Anderson land. Click the video and read along! – Emily Suess interviewed me regarding my experience with iUniverse Publishing. It’s not a topic I discuss often, but I was more than happy to work with her on this. Includes a small story about the night I met Jeffrey Eugenides…and stay tuned, because I might have some real publishing-related stuff to reveal soon. – Location3 Media has published some great writeups about service members in our families. They included the piece I wrote about my grandfather. Happy Memorial Day. – Our friend Dave Black wrote about this blog twice. Check out his posts: “Does This Seem Fake?” and Fox Pops. – The Mean (But Accurate) Folks at Dead Homer Society included a link to one of our posts in their Reading Digest: Not Worth Reading Edition. A ringing endorsement if there ever was one! More on-site content to come. I promise. Well, it’s come and gone. It was a lot of fun and also a lot of work, but Wes Anderson Month is over. When I first announced this project, I pretty much expected to fail at some point and not have time to write everything I hoped to write. Shocking the hell out of me, I actually delivered on every one of my promised features, and even had the chance to post a few more. – Friday Musical Interludes of “Here Comes My Baby” by Cat Stevens (Rushmore), “30 Century Man” by Scott Walker (The Life Aquatic With Steve Zissou), “Les Champs-Élysées” by Joe Dassin (The Darjeeling Limited), “Let Her Dance” by The Bobby Fuller Four (Fantastic Mr. Fox), and “Zorro is Back” by Oliver Onions (Bottle Rocket). – A Fun Deconstruction of the Moonrise Kingdom trailer. 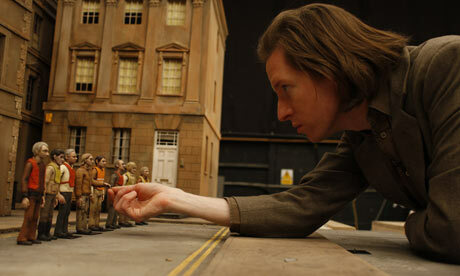 – An Admittedly Biased look back at Wes Anderson’s films to date. – A Revised Version of my 10 Most Affecting Wes Anderson Moments article. – A Direct Response to reader David Black, who wondered whether or not Anderson’s obtrusive hallmarks might prevent his films from achieving greatness. – …To Which Dave Responded with a defense of Fantastic Mr. Fox. – We Compared the handling of cross-cultural romance between Bottle Rocket and The Darjeeling Limited, and had no difficulty determining which was more successful. – We Spotlighted Anderson’s rightly adored coming-of-age tale Rushmore, and explored its hands and handiwork. – We Deconstructed a Scene from the criminally under-appreciated The Life Aquatic With Steve Zissou, which we think makes us Blue Star Cadets by default. He’ll send us a red cap and a Speedo. – And Finally we defended Anderson’s voice, and his desire to stay true to it. Some see it as a refusal to evolve. Whether or not that’s true, we’re perfectly happy where we are. …alright, alright. I admit, I did not fulfill all of my promises. The month was meant to culminate in my review of Moonrise Kingdom, but — of course — it’s not playing anywhere near me. At all. So thanks for sticking with me through this, and for being on-hand to revel in my inevitable disappointment. 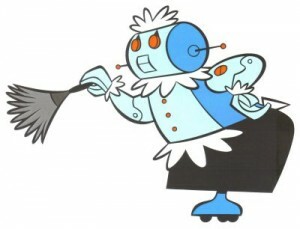 We’ll resume regular noiseless chattering immediately. One month from today sees the release of Moonrise Kingdom, Wes Anderson’s seventh film and one I’ve been looking forward to for a long time. To celebrate, I will be giving this blog over to discussions of Anderson and his work, and I can’t think of a living director more deserving of that attention. The rolling tribute will last for one month, up to the release of Moonrise Kingdom, so if you have no interest in that or any of his other films, I’ll see you in June! Nah, I’ll probably have a bunch of non-Anderson posts here as well, but this will give me a good outlet for what is some pretty major excitement right now. – A Noiseless Chatter Spotlight on one of Wes Anderson’s films. Feel free to suggest which one. – That’s How We’ve Always Done It: A discussion of the consistency of Wes Anderson’s approach, themes and characterizations, and whether it’s an indication of his strong and developed voice, or a reluctance to chart new ground. – Anatomy of a Scene: Deconstructing one of Anderson’s many unforgettable moments, and taking a look at how and why it works. – A Look Back at Wes Anderson’s previous films, as a brief primer for newcomers. – My Review of Moonrise Kingdom, once it’s out of course. Spoiler: It’s better than Fantastic Mr. Fox. Because come on. …and maybe some more stuff too, so stick around. I look forward to counting down the days with all of you, and reading your comments as we discuss one of the most interesting artists of any kind working today. 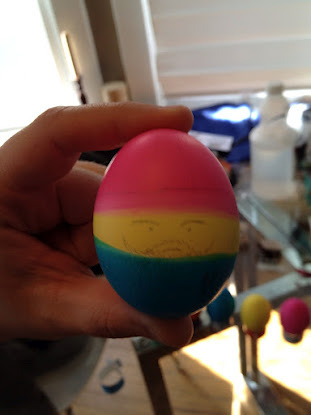 Oh, and the image above and to the right is an egg I dyed with my girlfriend this past Easter. It’s Steve Zissou, and I ate him on a sandwich.